These hand-crafted Western boots from Lane round up style and durability, made from high-quality leather. 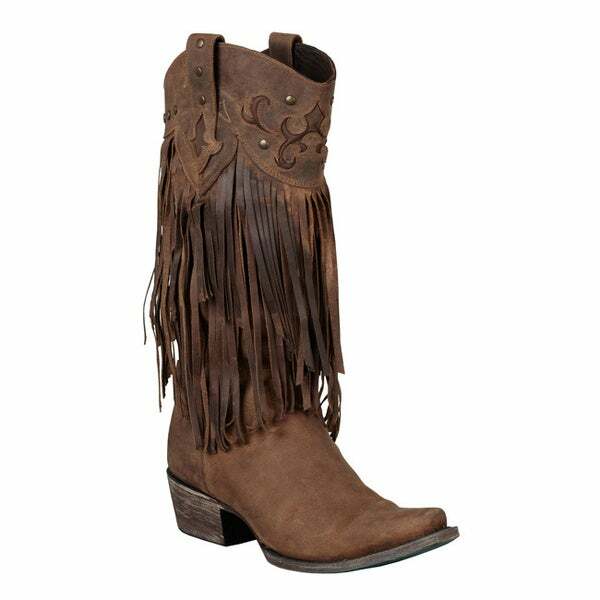 These boots feature chic leather fringe down the shaft and are completed with a low stacked heel. Watch the fringe sway as you dance the night away in these dapper boots. Tuck your jeans into the mid-calf height boots to showcase your sense of style. The slightly padded foot bed makes the boots a comfortable choice, even when wearing them all day. Appreciate the generous 14-inch circumference that fits securely around your calf yet minimizes chafing.